The first ripples of Snapchat’s popularity waved all across the world when it first appeared as a volatile messaging app, i.e. your messages get permanently deleted soon after you leave the conversation. 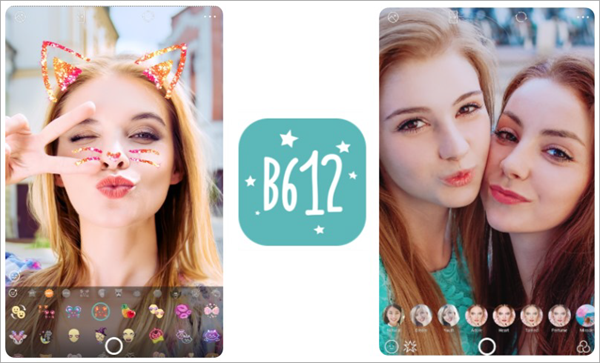 The second round of boost for Snapchat’s increasing fame was triggered by the Android Snapchat filters, or Lenses. Soon after the release of this feature, countless applications on Play Store started to adapt the same Android face filter apps and followed the trend. No doubt, “Selfie” has sustained quite long as a modern trend of photography and it has made a great impact on tech-industry and it will continue to do so for next few decades. Lenses, stories, status in whatever form you want to post your selfies, these filters will add a lot more fun to the same old pictures. Snapchat is the pioneer of this global Vogue of animal face filters, but it has been mostly used by the youth for inappropriate reasons. A group of users are not a big fan of the complicated user interface provided by Snapchat. Moreover, if you have been using the app for a long time, you might get bored of applying the same filters back and again. So let’s bring some changes into your selfie-obsession! 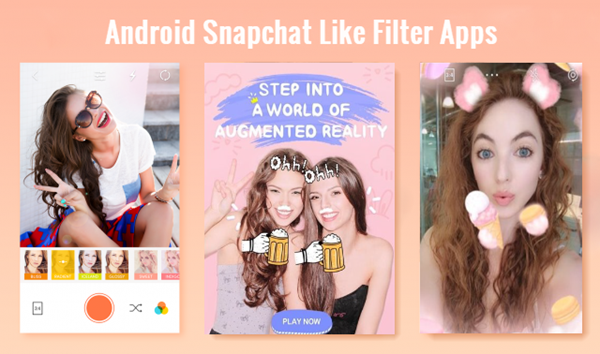 Below we have listed a few best selfie apps for Android that will bring to you so many alternative filter options to brighten up your cunning looks. These Snapchat-like face filter apps can also save them into your device and share them to other social platforms. Instagram is a globally established app for its rich platform to showcase all kinds of creativity, and especially photography; though in recent times we have seen Instagram borrowing some latest features from Snapchat in order to follow the trend. Such as, the stories lasting for 24 hours, volatile image texts, and filters. So what makes Instagram different from the crowd of tge similar Snapchat filters apps? Insta has some of it’s own stand-alone features like boomerang. But, we need to admit, that Instagram editing tools are the best-in-class for Android. It gives your pictures a professional finish with the least edits and no compromise in the picture quality. Isn’t it great? At present, it has around twenty face filters which you can get by clicking the camera icon at the home page, and then on the smiley icon at the next page. Instagram and Snapchat are both great camera apps, but they have totally different agendas or usage. One can easily complement the other. So you can simultaneously keep the two apps in your phone and use one for creativity and the later for fun. The application is totally free with no pop-up ads or in-app purchases. Get inspired by latest photography trends. Follow the topics and celebs of your interests, share your creativity by reaching millions of people at the same time. Best-in-class photo editing and direct share on different social media platforms. Share unlimited photos and videos in your story with the highest number of viewers. All the latest addons to edit selfie and give it a personal touch. Even before the era of Snapchat had begun, Face Swap Live already introduced a fun feature where you can switch your face with your friend’s. You can even use the swap to exchange your face with a celebrity and see how weird you look. The app can function for existing photos or even during real-time selfie clicks. Lite version of the application also available. In-app purchases to upgrade to latest funny features. Recording video while your face swapped with another. This one can guarantee that you look gorgeous in all your selfies. If you are looking for Snapchat filters apps that are not just funny, but also adds to the beautification of the picture that B612 will be one of the best selfie filter app for Android. The whitening touch, filter effects, photo editing tools are so, that will not let you look bad in any way, making all your funny selfies picture-perfect! 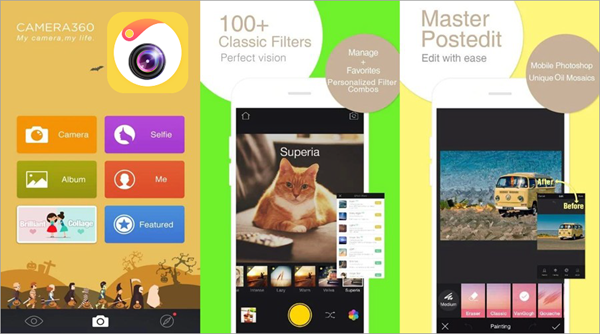 All the latest photo editing tools and filter effects. 1500+ collection of stickers, including multiple animal stickers. Draw while you click a video with drawing effects. High quality filters for different genres of photos. High-end real-time beautification tools are also available. Being somewhat similar to B612, this application is also available on Play Store for free, with a few occasional ads. Camera 360 has an excellent selfie camera that lets you take high-MP pictures with a perfect finish with or without filters. 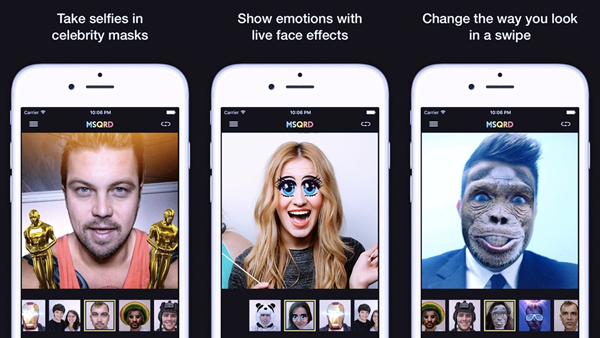 The face filters can track your face accurately, and you can click both still selfies and motion pictures. Most of tge filter effects here contains stickers that make you look funny. So, the fun part is guaranteed. The stock of free stickers is vast and enriched enough. It has been an editor’s choice camera app for Android. Available in different version of apps like, selfie photo editor app, Bestie (selfie camera), lite version of the selfie camera, etc. 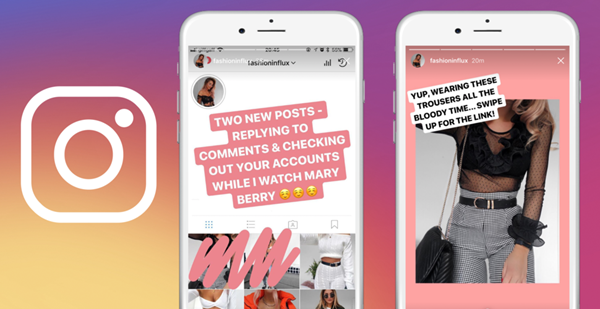 Like Instagram, Masquerade or MSQRD is also acquired by Facebook to bring the trends inside the social media giant. 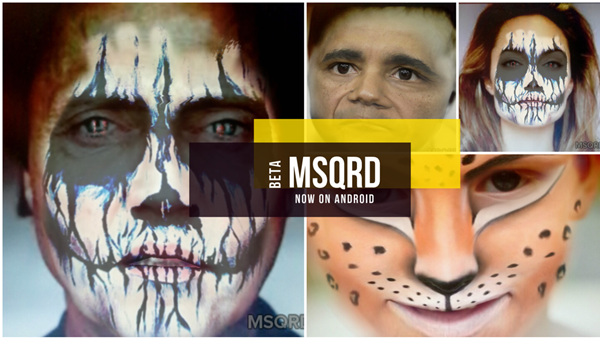 MSQRD is quite similar to Snapchat filters app for its imaging technology. It can add various filters to your selfie and adapt the pictures in the most whimsical ways possible. There are a huge number of stickers available to keep you engaged for a while. The app is still available on the Play Store to be downloaded though the purpose of this app is for improvement of Instagram stories feature. Record video selfies with interesting animations. Face changing and direct Facebook broadcast options. Newly added Face Swap feature. Lost Your Precious Selfies on Android? It’s quite enjoyable to take loads of selfies with friends or families when you all get together. Dark dream comes when you find that your unique selfies are gone for some reason! Hey, here is the solution! Jihosoft Android Data Recovery is the most powerful and professional data recovery software for Android that can restore deleted or lost photos, contacts, videos, audios, SMS, call logs, WhatsApp chat, Viber messages from any Android devices due to accidental deletion, virus attack, formatting.